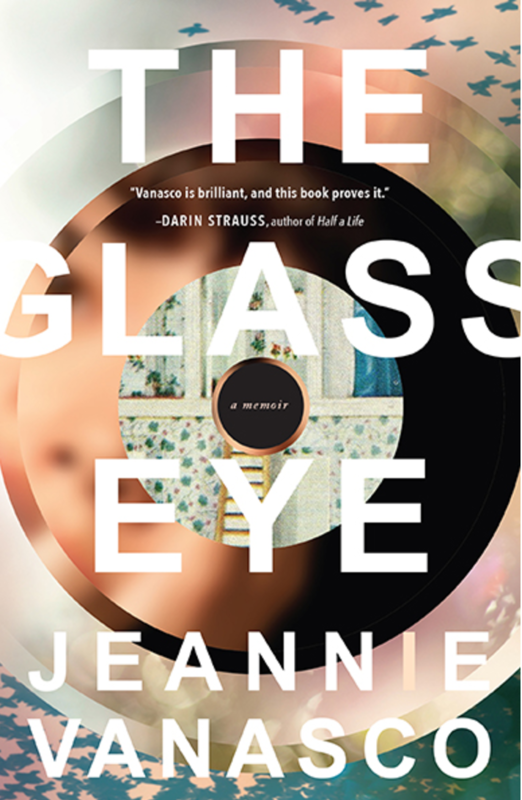 I read much of Jeannie Vanasco’s The Glass Eye in short bursts, one chapter a day for about a week until I couldn’t resist any longer. Then I read the rest of the book in one sitting. This heartbreaking memoir is so smart, so tightly constructed, and so moving that it broke me—both formally and emotionally. During that one long sitting in which I read the second half of the memoir, I needed to stop at least a dozen times and place my advanced reading copy splayed open on my chest while I sobbed into my own hands, which I dried off on my t-shirt before picking the book up again. MICHAEL KIMBALL: So before we get into any of my questions, I want to mention that we’re friends, and that I’ve heard about the various stages of this book for the last few years. Let’s start with the structure you created for The Glass Eye. There are two parts and 21 chapters. Then within each chapter there are lots of brief entries organized under four possible headings: Dad, Mom, Jeanne, and Mental Illness. This might seem a little complicated the way I’m describing it, but the structure is intuitive and brilliant and allows you to move through time, back and forth, with great ease. It also allows the narrative to accumulate with immaculate pacing and it allows you to control the many reveals of information that happen along the way. Could you talk about the major decision points that led you to that structure? JEANNIE VANASCO: I’m relieved the structure seems intuitive and brilliant—because it took a few years to figure out. When first drafting the memoir, I focused almost entirely on my grief for my dad. But the more I wrote, the more I realized that his grief for his daughter Jeanne, my namesake, influenced how I grieved for him. That’s when I embraced a sort of sonic logic: eye, i, I. My dad’s glass eye, the letter “i” that my dad added to my name, and the first-person “I.” I began seeing the structure as an equation of loss: eye + i = I. So I pieced together a bunch of scenes based on that equation: a woman painting my dad’s eye, me seeing a photo of my dead half-sister, Jeanne, for the first time, me hallucinating that my eyes had fallen out, and so on. The manuscript became impressionistic—scene after scene after scene—but tonally cold. There was no “why” holding the scenes together. Also, I hadn’t included enough of my mom, and I felt very bad about that—because she lost him, too. One scene I couldn’t get out of my head: my mom throwing herself over my dad’s coffin. I knew that the book also needed to be about her grief. So then I started organizing the scenes into binders and adding sections that reflected on those scenes. I must have spent a hundred dollars on the Martha Stewart product line at Staples: binders, dividers, folders, labels, pens, highlighters, and paper—all in different colors. I labeled each binder: Dad, Mom, Jeanne, and Mental Illness. The scene of the woman painting my dad’s eye, that obviously went in the Dad binder. My mom throwing herself over his coffin, that went in the Mom binder. Me seeing Jeanne’s photo, the Jeanne binder. Scenes of my hallucinations, those went in the Mental Illness binder. I didn’t see myself outside of my mental illness, which was a problem—emotionally and on a craft level. Otherwise, though, the binders were great—because I could physically move scenes around, finding artful juxtapositions and new meanings. The binder system worked well until I visited Jeanne’s grave for the first time. That happened the same month as the ten-year anniversary of my dad’s death. I came back from that visit and started shuffling around my written scenes, color-coding my memories, seeing too many connections between descriptions of my dad, Jeanne, and my psychotic episodes. Suddenly I didn’t know which memory to put in which binder. When you see connections everywhere, you see connections nowhere. Pretty soon I ended up in the hospital. Try telling a doctor in the psych ward that you’ve been categorizing your hallucinations and that you can’t find your narrative present. Doesn’t pan out too well. 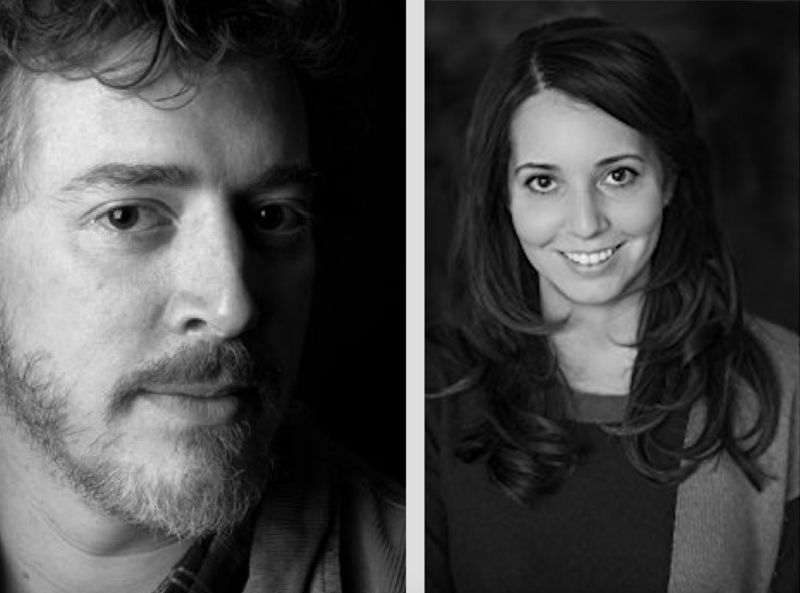 It wasn’t until after Masie Cochran at Tin House read my book proposal, three years later, that the story’s shape emerged. On our first call, Masie said: “What if the binders were the structure?” In my sample pages, I’d described the binders, how and why I used them, but they appeared within the narrative—as opposed to organizing the narrative. I knew at that point that Masie was “the one.” After we hung up, I asked my agent to pull the manuscript from everyone else. MK: I love that you found an editor who understood what you were doing with this amazing book. That’s rare in my experience, though I certainly had that with Kathryn Belden who edited Big Ray. And I want to come back to your point about this being a book for your dad, but first I want to follow up on the figure of the glass eye, which becomes a touchstone in different ways throughout The Glass Eye. You note in the memoir that the glass eye has been a figure for you since you started thinking about this book when you were 18 years old. Could you talk about the various versions of memoir that had the same title, as well as the poems, essays, short stories, and a novel that also carried that title? JV: The short answer: almost all those attempts—particularly the poetry and fiction—acknowledge the struggle to eulogize through art. MK: I feel as if your answer is the beginning of a separate essay about the many written forms that an idea can take. So tell me about the early prose versions of the glass eye material? JV: As for fiction, I also worked on a novella in undergrad. It was about a teenager and her mom who live in a “dead man,” a trailer hitched to a hunk of concrete six feet below ground. The teenager wants to be an artist, but she struggles to sketch and paint her dead dad. His glass eye poses the biggest problem: the eye is already art. To paint it feels impossible and inauthentic. She attempts a series of paintings about different parts of her dad: one painting is of his right arm, another his right leg. She doesn’t ever paint the left of him. I can’t remember if she ever paints the eye. Most of the story is her driving around town with her neighbor Lee Slivers, a man who collects Jesus pictures, the sort that plug in and light up. And then, after graduation, I tried to write a mafia novel set in the 1930s and told in the point of view of a boy loosely based on my dad. My dad loved books about mobsters. That’s why I thought: mafia novel. The boy works in his grandfather’s barbershop, sweeping hair mostly. His grandfather tells him: “Don’t ever go into the back room.” Mobsters use the back room. The boy becomes obsessed with one of them. This mobster has a glass eye and—the boy soon learns—a dead daughter. The boy’s own father recently died, and he doesn’t know how to grieve. So he basically takes notes on how the mobster with the glass eye behaves. I then tried to break the book into a series of linked stories set in the barbershop. My dad’s father owned a barbershop, and my dad worked there as a boy. I wanted to imagine my dad as a boy. I wanted to imagine him without me. It seemed like a way to keep my grief from turning the prose sentimental. Later, I tried to write another novel, this one about a twenty-two-year-old’s decision to move to New York because New York is where her dad was from and she wants to write a book about him. Jeanne appears in one sentence: “My dad named me after his dead daughter from his first marriage and a soap opera star he liked.” It was a throwaway line meant to be amusing. It was exploitive. MK: One of the remarkable things about your memoir is that it never gets sentimental, though it is so moving in so many ways, which I think was best suited to nonfiction for this particular material. Tell me about the early nonfiction attempts about the glass eye? JV: I had a different version of the memoir mostly set in the psych ward. The flashbacks were my childhood memories of my dad. But by opening in the hospital, the book would set the wrong tone. I didn’t want my diagnosis to be the story of the book. I didn’t want my character to be a walking DSM entry. Off and on, I tried to write essays, but I couldn’t make them work. They felt too much like sketches. It wasn’t until I was twenty-eight that I decided: I’m going to try to make this a memoir. MK: One of the things that comes up throughout the memoir is the deathbed promise you made to your dad. Is The Glass Eye that book you promised to write for him? JV: When the book existed only inside my head, it was the book I promised him. The moment I started writing the first sentence, the promise was broken. The problem is, I can’t articulate why The Glass Eye isn’t the book I promised him. I just know that it’s not—maybe because I feel that it’s not. I understand that you can’t force your book into a direction that it doesn’t want to go. But memoir, I naively believed, could be different from poetry and fiction. With memoir, I thought I could control the process. That’s because I hadn’t considered the most important part of memoir: the guiding intelligence. MK: I love that phrase, guiding intelligence. Could you talk about how it was so important to The Glass Eye? JV: It sounds sort of textbook-y, but this is what I tell my memoir students: the guiding intelligence is both the narrator and the narrator’s shifting and developing interpretation of the memories. Memories alone don’t make a memoir. The guiding intelligence fits the memories together. For me, the guiding intelligence—or developing narrator—is the real plot of memoir. The narrator, as a concept, often gets overlooked when discussing memoir from a craft perspective. The reason I felt stuck for so long: I didn’t yet have my narrator, which seems like a silly thing to say. I was writing memoir after all. The narrator should be pretty obvious. But the reason I couldn’t figure out my narrator: I couldn’t figure out my “narrative present.” The “I, now,” “I, then” that Virginia Woolf talks about in her unfinished memoir, A Sketch of the Past. I didn’t know my “I, now.” When does the “I, now” turn into the “I, then”? I’d been working on my memoir for so long, and throughout that time my sense of self changed a lot. As a result, I worried the tone would be uneven. That’s why I made early drafts of the memoir all scene, no telling. I was waiting for stability. But what’s so wrong with having an uneven tone? That’s the experience of being human. So after years and years of waiting for stability, I realized that the lack of stability is part of the ongoing story. And the fact of the ongoing story is another part of the story. MK: Speaking of telling, there’s an element of the memoir that I found fascinating, the entries where you write about writing the memoir. At what point did you decide to incorporate that material and, I guess more to the point, why did you decide to include that material within the memoir? JV: For a long time I internalized some rule that writing should seem effortless. Yeats’s poem “Adam’s Curse” really messed me up in undergrad: “A line will take us hours maybe; / Yet if it does not seem a moment’s thought, / Our stitching and unstitching has been naught.” Yeats is saying, in a very artful way, that art is hard. But back then I completely missed the tension between artifice and authenticity in the poem. MK: Honesty and vulnerability, that brings to mind the idea of bravery, which comes up in various ways in The Glass Eye, which is itself a brave book. Could you talk about the bravery of your father, your own bravery, and how bravery can be a way to become a better version of yourself? JV: I was five years old when doctors removed my dad’s left eye. I’ll never forget the drive home from the hospital. He praised me for being brave through it all. He was the one who had an eye removed. I just sat in the waiting room with my mom and my coloring books. But I wrote The Glass Eye not out of bravery but out of fear of letting go. Writing about him was my way of following him into some sort of after-life. It felt as necessary as breathing. I never questioned not writing the book. I questioned my ability. So maybe writing the book was sort of brave—in that I was afraid of failing. My dad once told me: “It’s ok to be afraid. It’s what you do with your fear that matters.” Following that advice, I think, one can become a better person. MK: Toward the end of The Glass Eye, you write about writing the book as a way to continue to spend time with your father. I feel as if I had a chance to spend some time with him too. How does it feel to have ability to create that time with him? JV: I’m happy I finished the book. And I’m happy to hear that I captured his character in some way. But writing the book—shaping narrative out of experience—wasn’t cathartic. My dad is gone, and I’ll never stop missing him. I’ll keep writing about him, and for him, in some way or another. Before he died, I wanted to write fiction. I may try it next. I’d like to create a world where he’s still alive. Jeannie Vanasco is the author of The Glass Eye. Her writing has appeared in the Believer, the Times Literary Supplement, Tin House, and elsewhere. Born and raised in Sandusky, Ohio, she lives in Baltimore and teaches at Towson University.